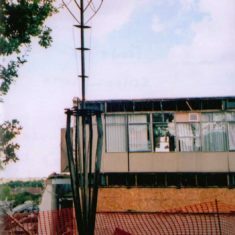 Front of school with its defiant ' Modern Art Figure' Pleading for Help!!!! 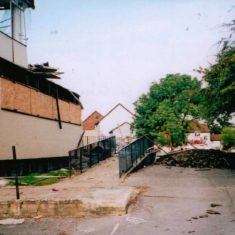 Taken from back of stage, 'Tuck Shop' was where the windows are with nothing left of the stairs!!! 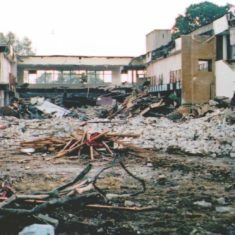 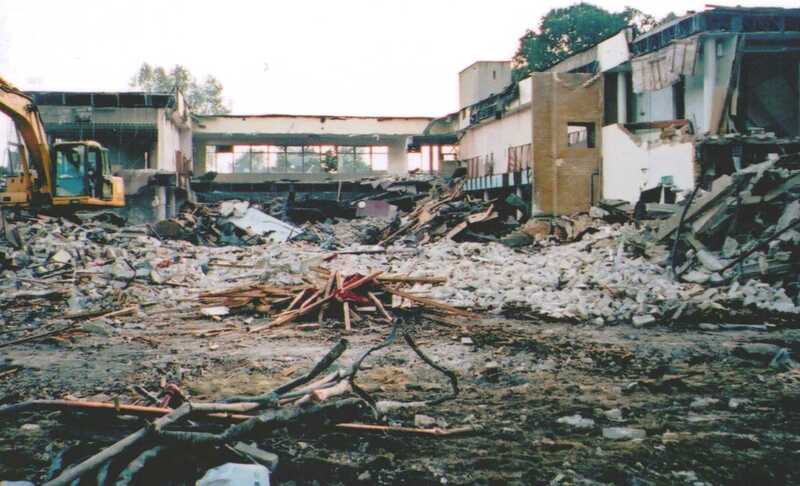 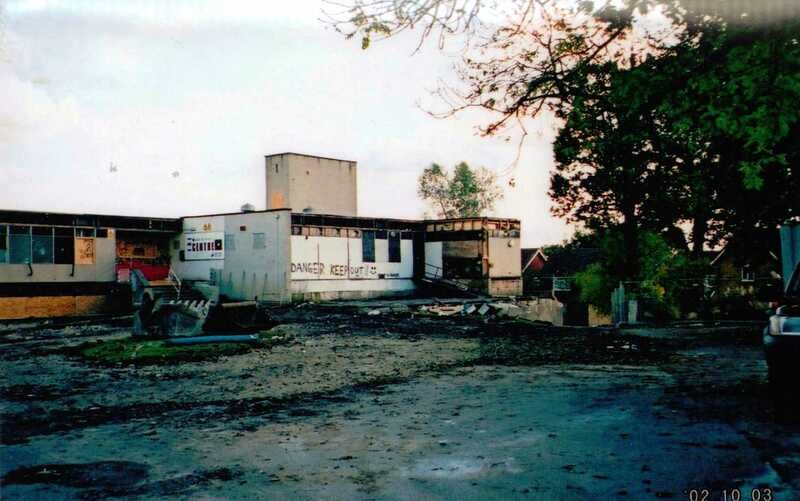 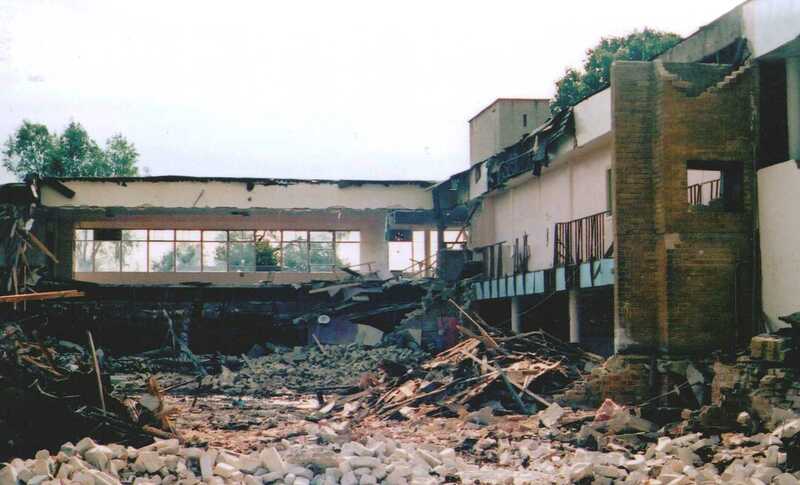 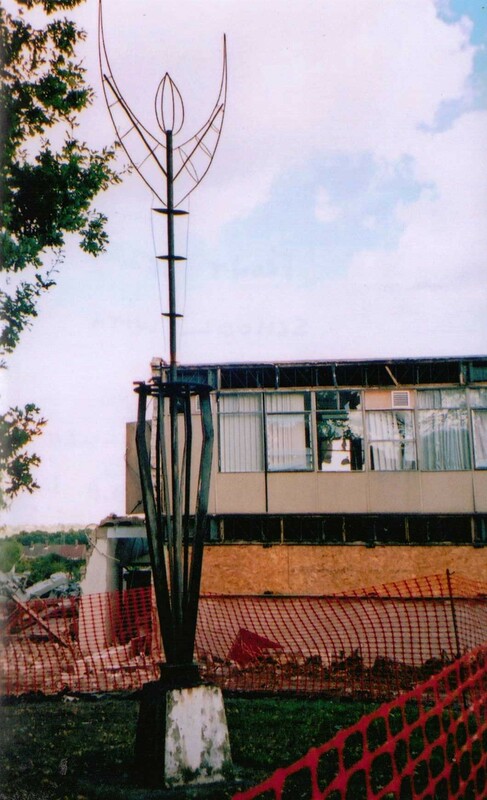 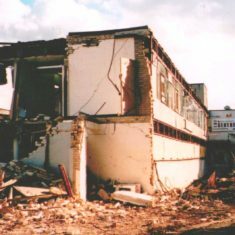 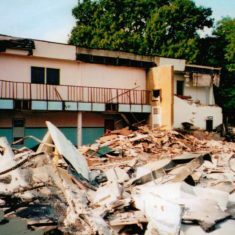 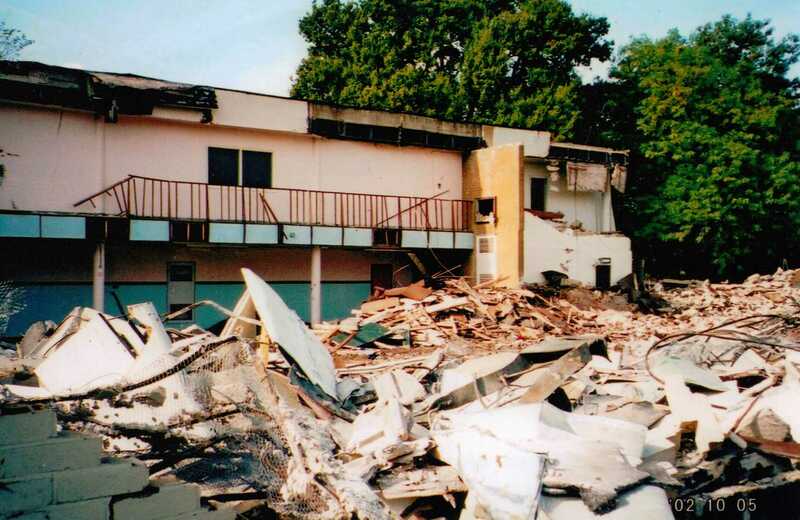 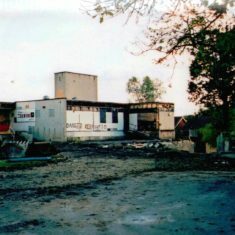 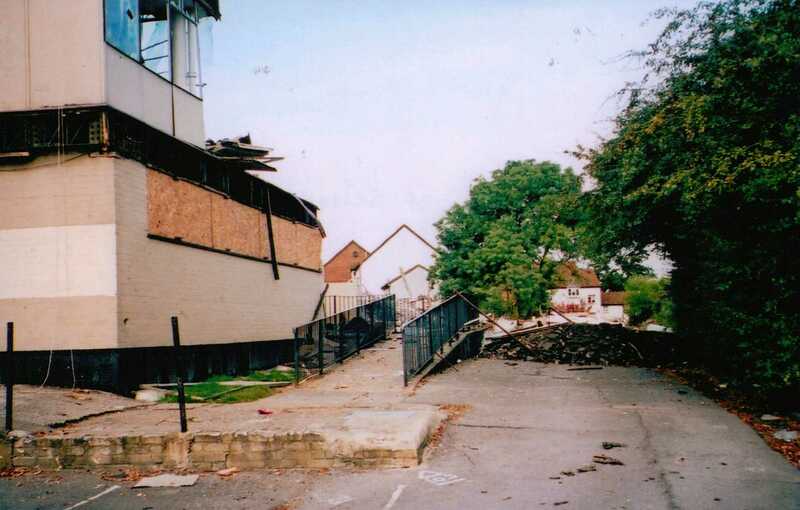 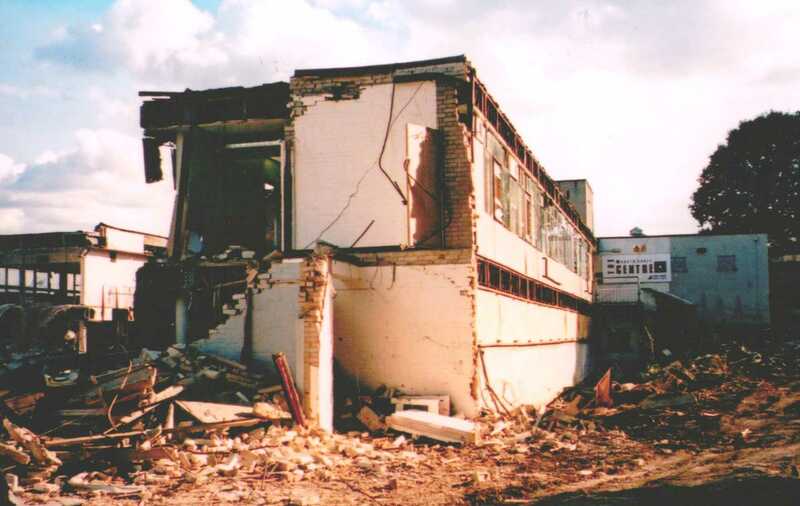 These photographs were taken on 5th October 2002 after the final demolition of ‘Clarendon Block’ on the former Clarendon School (later Sir James Altham School) site had commenced. 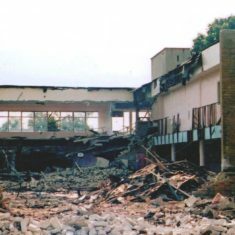 A sad end to a wonderful school.